“Envisage the garden as the personal space for the Head Gardener who is influenced by the tradition of “Topia opera” – fancy gardening. 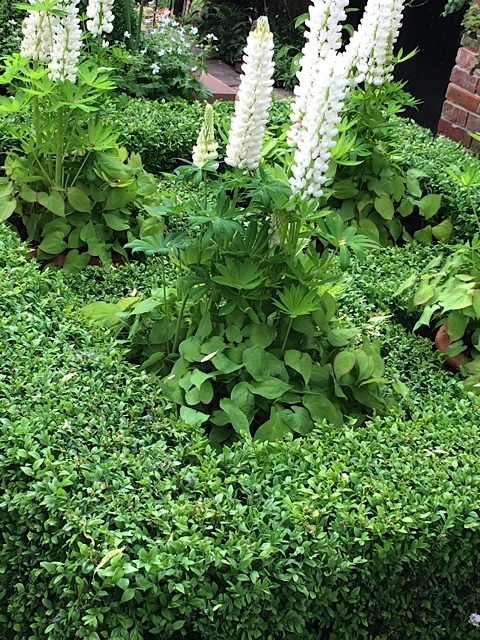 In this small walled space, he indulges his passion for eclectic topiary designs, haphazardly placed amongst his favourite white perennials, flowering climbers and delicate rose – Adelaide d’Orleans. Annual flowers planted in a sunken chequerboard of pots make this space a fantasy of informality. He takes great pleasure in clipping topiary into flamboyant shapes. As he clips and shapes he hums quietly along to himself from Mozart’s Madamma, il catalogo il questo; the “catalogue aria” which lists his master’s conquests. BBC TV featured “The Topiarist” display and Marylyn’s West Green House in their coverage of the Flower Show and I have included pictures below along with a few from her earlier home here in the Highlands – Kennerton Green in Mittagong. 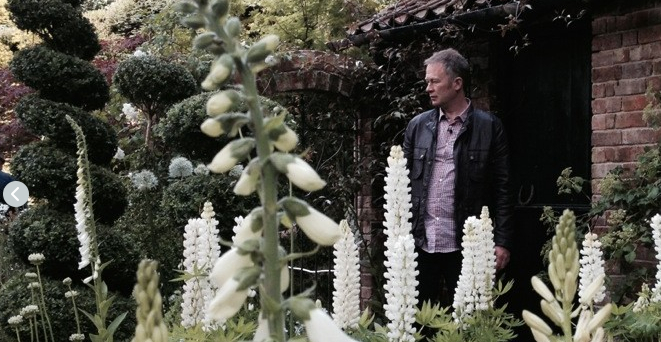 I’ve not yet been to the West Green House Gardens but according to the Telegraph’s Stephen Lacey it is a garden with a special and distinctive sense of place and he selected Marylyn as one of the top 20 living garden makers for the Telegraph. He writes “her swash buckling annual potage displays, fountain gardens and torch lit operas reflect her energy and zest. 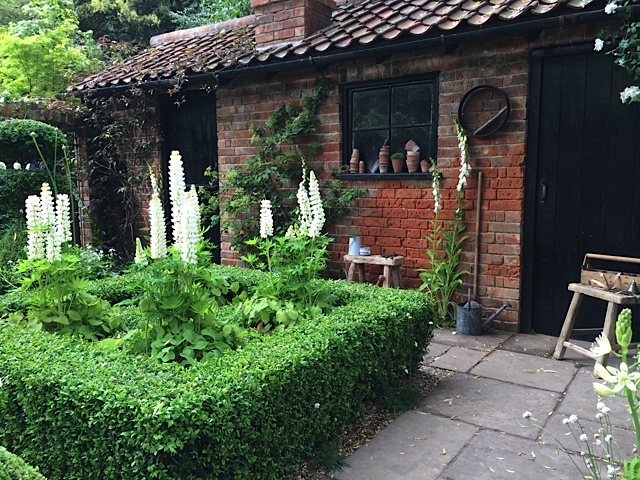 Through her books she has pumped fresh air and sparkle into the world of period gardening”. Below are pictures of her garden there. Below: Another of Marylyn’s designs – Kennerton Green in Mittagong. Here is an excerpt from Home Life magazine about Marylyn’s earlier garden at Kennerton Green – which was one of the most popular open gardens in Australia. 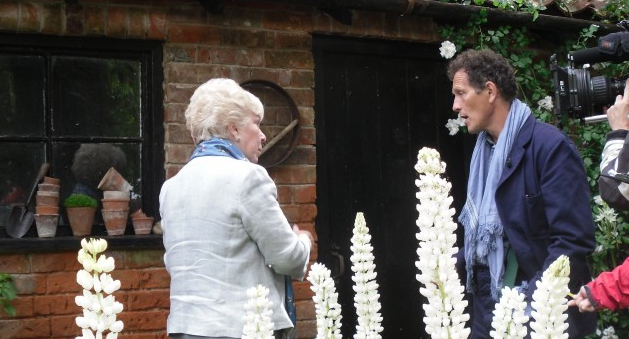 When Marylyn sold a few years back Home Life’s CHRISTINE REID took a final tour around the glorious grounds. 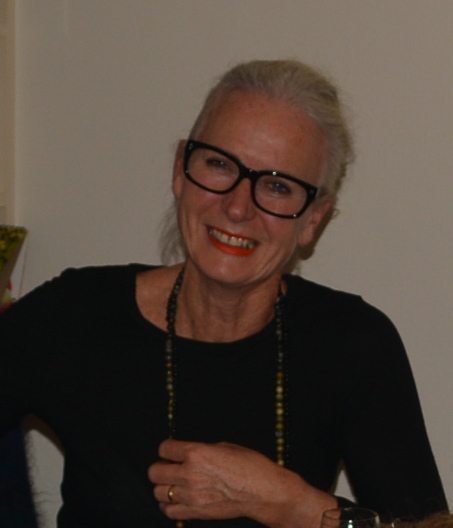 “Nearly 20 years have passed since Marylyn Abbott took over as the custodian of the garden at Kennerton Green, Mittagong, in the Southern Highlands of New South Wales. During this time, Kennerton has taken its place at the forefront of the grand gardens of Australia, thanks to Marylyn’s expansion and diversification of the garden plantings in a series of spectacularly themed garden ‘rooms’ including a birch wood, a potager (vegetable garden), a bay tree parterre and an iris-rimmed lake. But that era is now coming to an end. 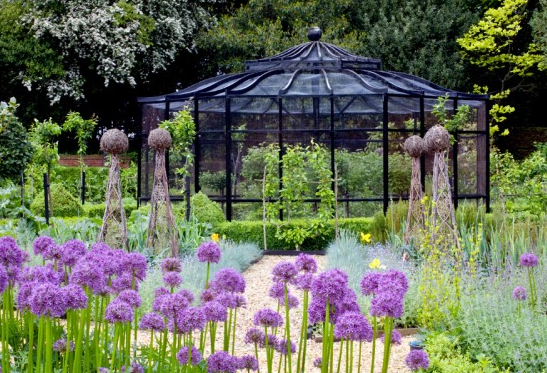 The garden, much loved and cared for by two generations, is being handed over to new owners. Over the years the garden has welcomed many friends, photographers and visitors through its gates who have returned time and again. As a tribute to this iconic property, we are treating readers to one last loving look at the beauty of this special place in Australia. The existing garden, originally developed in the 1950s by Sir Jock and Lady Pagan, was left largely undisturbed by Marylyn – but it has been nurtured and enhanced, building upon a symphonic theme of green and white. Mature trees, such as the golden elm, oaks, and the flowering cherries, are treasured, while the magnificent Wisteria floribunda ‘Kuchibeni’, a feature of the front lawn, continues to stop garden visitors in their tracks with its awe-inspiring blooms. 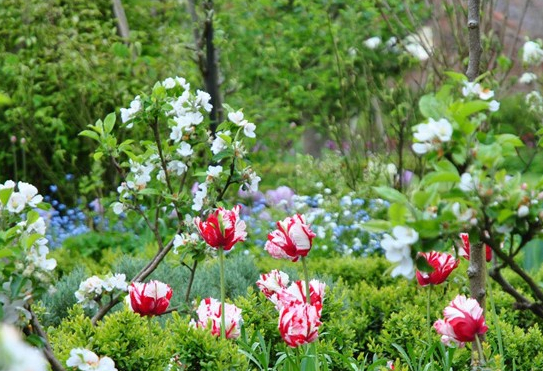 However, it is Marylyn’s addition of more lasting plant structures, characterised by ordered geometry, that brought a new harmony to the garden. For example, the parterre at the front entrance to the house was created from a turning circle for cars. 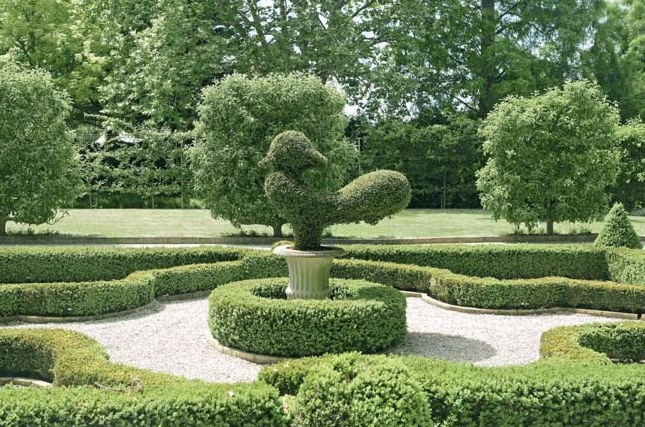 The white gravel reflected too much light, but the addition of the box-hedge parterre breaks up the void, while the decorative topiary bird at the centre adds a quirky touch. 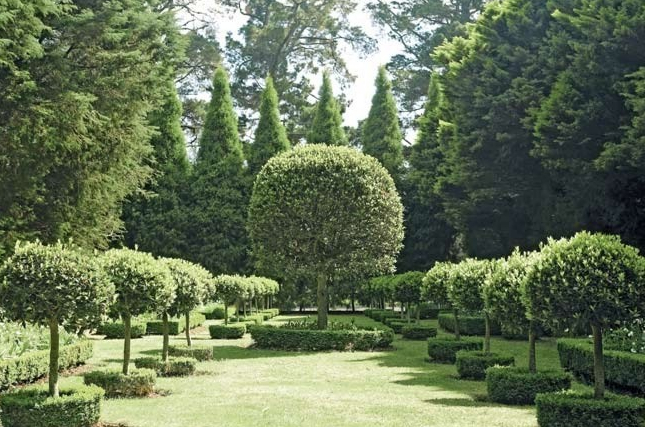 In another area, 80 clipped bay trees are geometrically arranged in hedged beds in the formal manner of a medieval enclosed garden. Marylyn turned to history books again when creating the ornamental vegetable garden where flowers, fruit and vegetables are grown together in the tradition of the French potager. 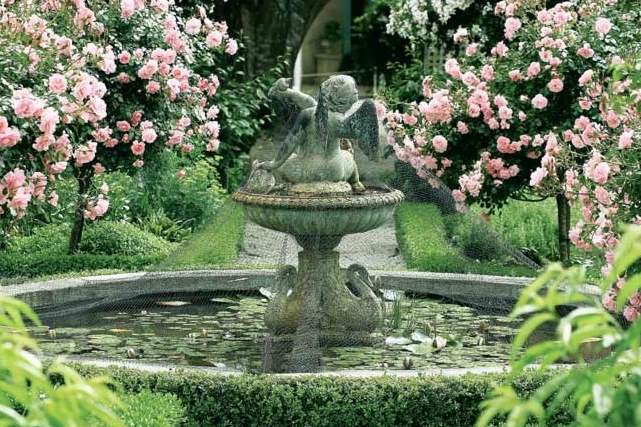 The garden also features a central pool filled with goldfish and a pretty cherub statue − another reference to the ponds of medieval times, where monks would keep their fish. Water is a major component of the garden, instilling peace and tranquillity to each area. There’s the ornamental lake in the birch wood; a small dam surrounded by an Edwardian-style rose garden; the long canal in the old rose garden and a recent installation of fountains and running channels of water in the paradise garden. The mood is unashamedly romantic as you tread softly along grassy paths through the silver birches. 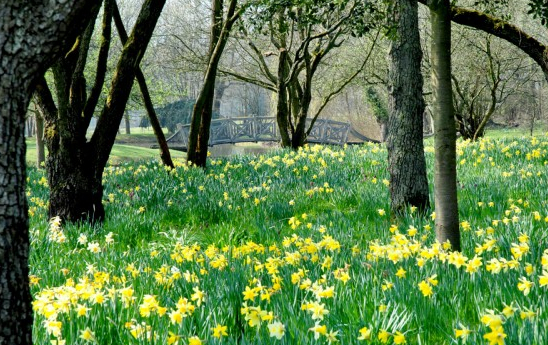 In spring, it is even more so, with pretty freesias, bluebells and hoop-petticoat daffodils scattered below. The pink and white Edwardian-style rose garden is dreamlike, with its roses on swags around the dam and old-fashioned shrubs such as deutzias, viburnums, lilacs, rhododendrons, and pink and white dogwoods. 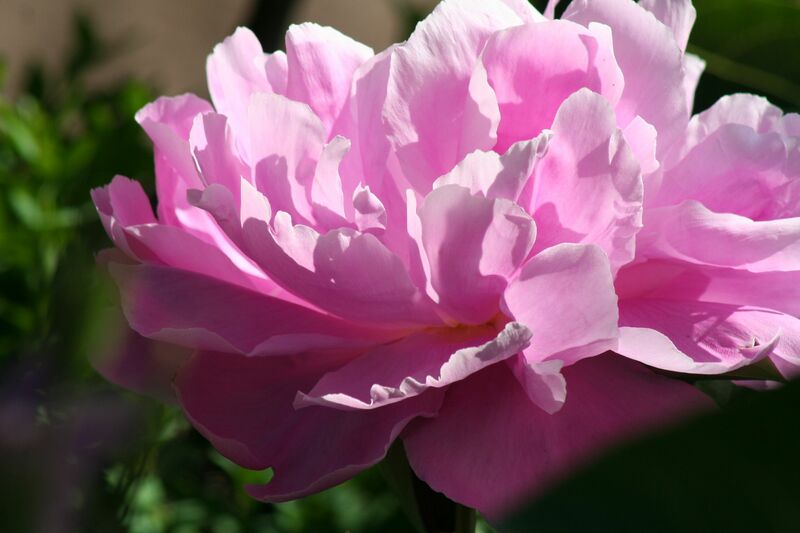 To visit Kennerton Green is to enter a different world… a world where the hustle and bustle of everyday life is left behind and there truly is time to stop and smell the roses.